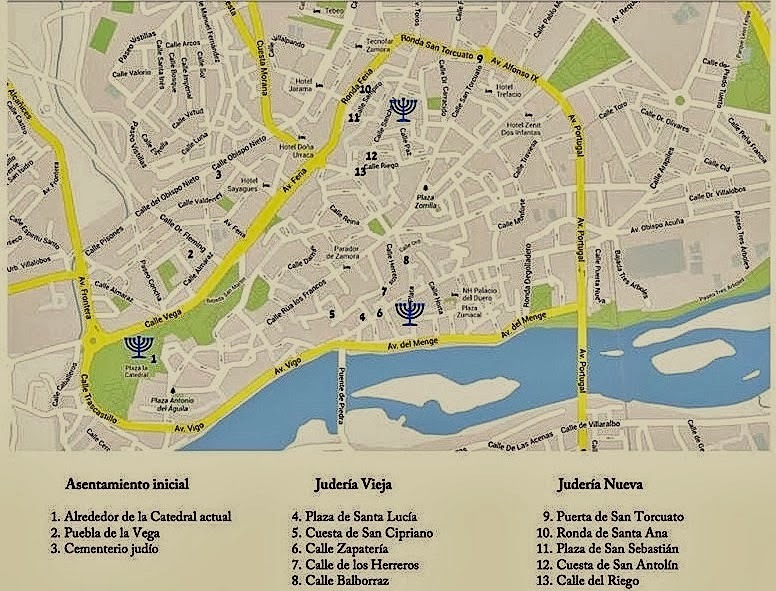 This picture maps the Jewish quarters in the city, including the two major ones in La Horta (southeast - 12th century to around 1412) and La Lana (northeast, mid 15th to 1492) neighborhoods. 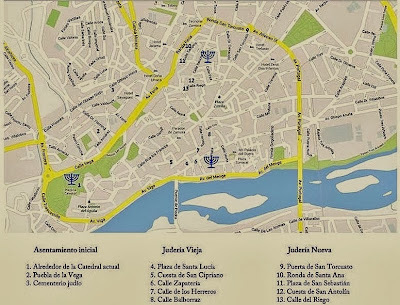 Spanish historian Manuel F. Ladero Quesada considered that by the time of the expulsion 20% of Zamora city population was Jewish, between 12 and1300 people. "Hermosa provincia, la mejor entre las del norte"